In addition to the traveling exhibit, the Project Team (Erik Nordberg, Mike Stockwell, and I) also created materials for public consumption that include: a brochure, a handbill, a poster, and a web site. As part of the grant, the exhibit will be "traveling" to other sites in the Copper Country. The Project Team decided to use a poster and handbill to announce these next stops after the exhibit leaves Michigan Tech. 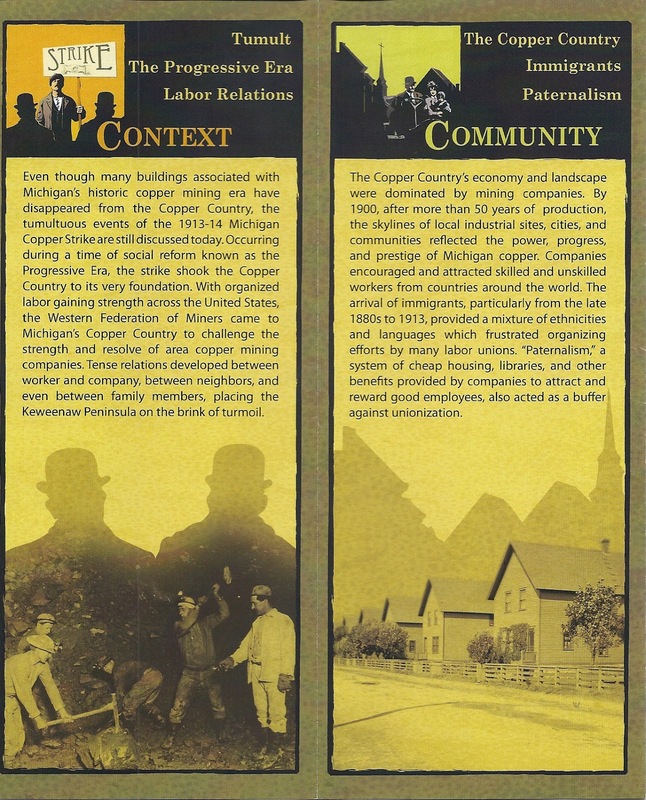 Included on the poster and handbill are dates, speakers, and topics for exhibit openings as the exhibit visits other sites in the Copper Country. I'm (Gary) giving a presentation on writing the interpretive text for the exhibit at the Keweenaw National Historical Park on May 23, 2013, at 7 pm in the Park's Visitor Center in Calumet. The front and back covers of the brochure. The back cover, seen on the left-hand side of the image contains names of the Project Team as well as the Narrative Committee. This entire project was truly a collaborative venture from beginning to end and displays the power and importance of having as many voices as possible in a public history exhibit. 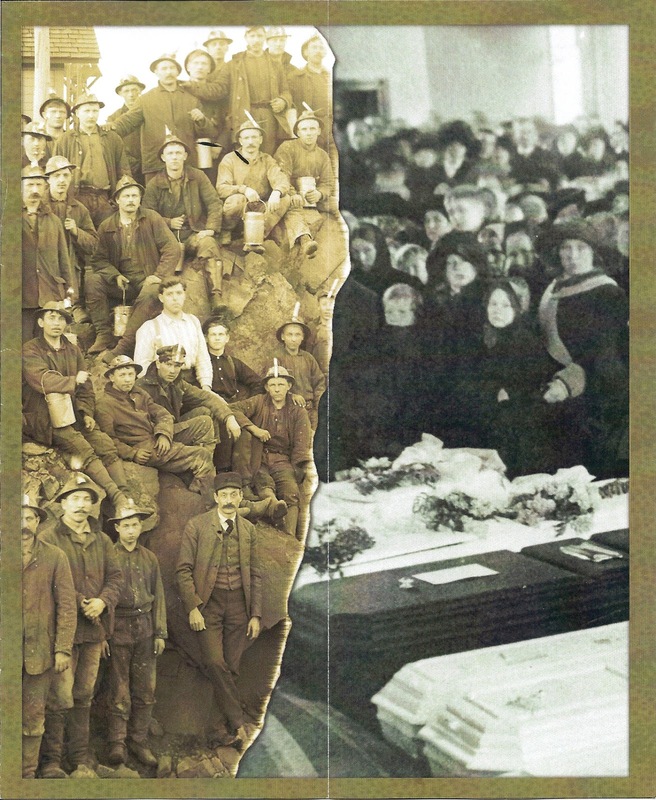 Inside cover of the brochure featuring mineworkers posing for a picture outside of one of the area's many shafthouses and the funeral for Finnish immigrant people who died at Italian Hall. This image is from the interior of a Finnish Apostolic Lutheran Church on Pine Street in Calumet, Michigan. Two of the four exhibit content areas. The two other exhibit themes contained in the brochure. The brochure is intended to give an encapsulation of the exhibit's main themes and direct the reader to the exhibit's on-line content. 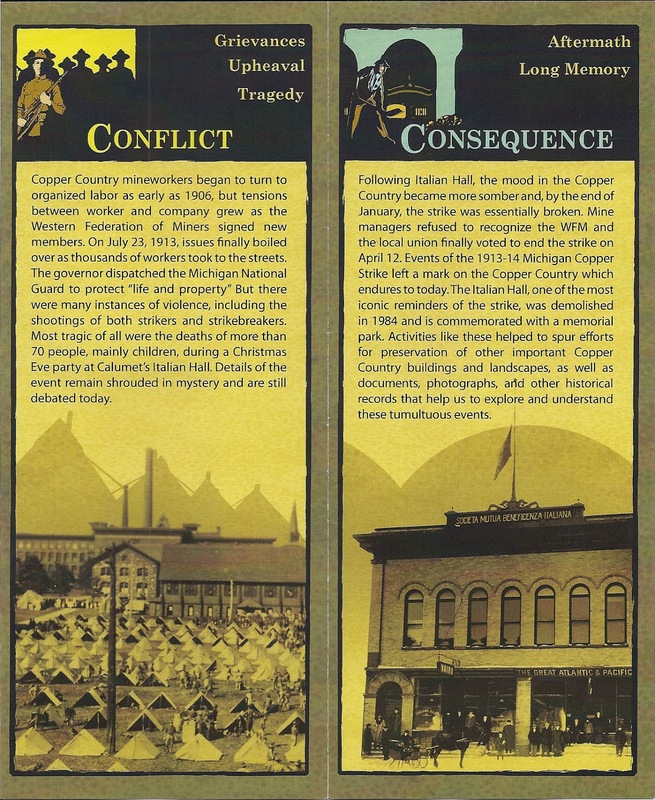 The four content areas, or themes, of the exhibit are displayed as titles on each of the brochure's inner folds and then the sub-headings for the exhibit are contained in the top right corner above the each heading. 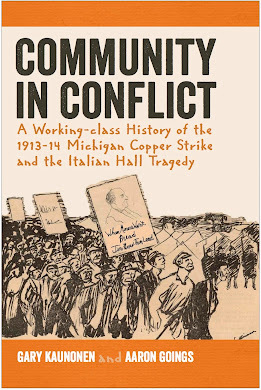 The four thematic areas I chose to tell the story of the "Tumult and Tragedy" of the 1913-14 Michigan Copper Strike were "Context," "Community," "Conflict," and "Consequence." As you will note, there are QR Codes (Quick Read Codes--available as apps on most mobile devices) on each of the public material handouts. QR Codes are the funny looking, square bar code-like blocks that are seen everywhere nowadays. Though they look and sound a little mysterious, QR Codes are simply a way to direct mobile device users to on-line content. QR Codes have been used in marketing for a while now, but they also provide public historians and exhibits a valuable way to link people at physical exhibit sites to cyber, or on-line, content such as web pages and streaming video or audio content. 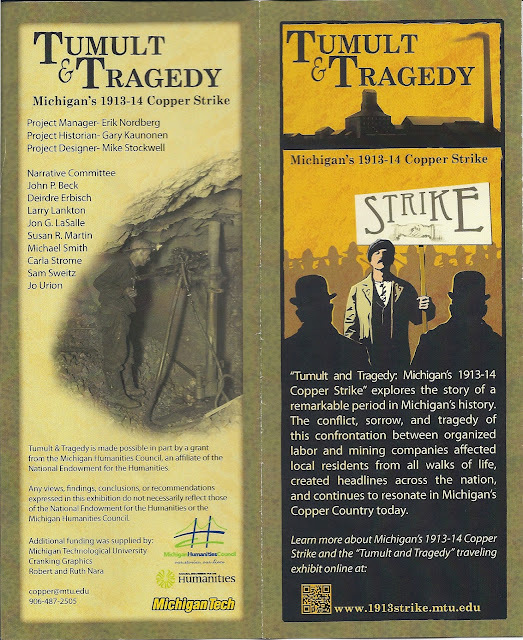 The QR Codes on "Tumult and Tragedy's'" public materials direct readers to the web site hosted by Michigan Tech, while QR Codes were also used on the exhibit panels as well as a way to direct viewers to various content and web sites on the internet including web pages and content from the Copper Country Historical Collections, Keweenaw National Historical Park, and Finlandia University.